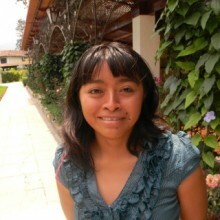 María, from the Chaquiral village Aldea Vásquez in the Department of Totonicapa, Guatemala, was selected as a GOJoven Fellow when she was 22 years old. 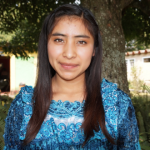 María is a young female leader who is sociable, collaborative, cooperative, participative and respects human rights. Maria currently volunteers in the Redmi Aq’ab’al Association, where she has the responsibility of Treasurer, and facilitates discussions with girls and adolescents about Sexual and Reproductive Health.